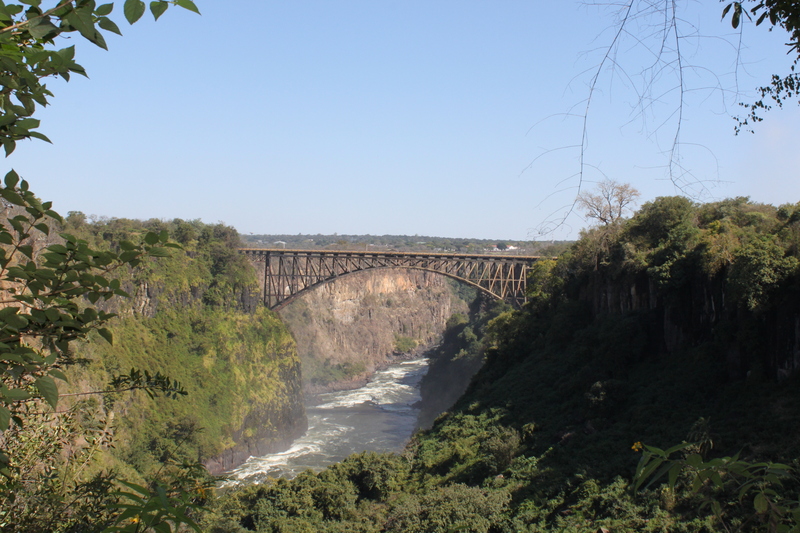 This entry was posted in Africa, Travel, Travel Photos and tagged Bridges, Nature, Photography, Photos, Travel Blog, Travel Journal, Travel Photo, Victoria Falls, Waterfalls, Zambezi River, Zambia, Zimbabwe. Bookmark the permalink. I can hear the rush of the water. Nice photo. Nice! That’s a very long way down from the bridge. Yes! People bungee jump from the bridge I was standing on when I took this photo. Africa is a special place. I love it, but just looking at tha bridge is giving me a touch of vertigo! I think I could spend an entire day just listening to the onrush of the current and staring at the sparkles of running water. It would be a nice way to spend a day. Stunning 🙂 I can’t wait to travel and show off some pictures to you! Cool…I can’t wait to see them!